Brian O'Donovan (aka BOD): What do these road signs mean? 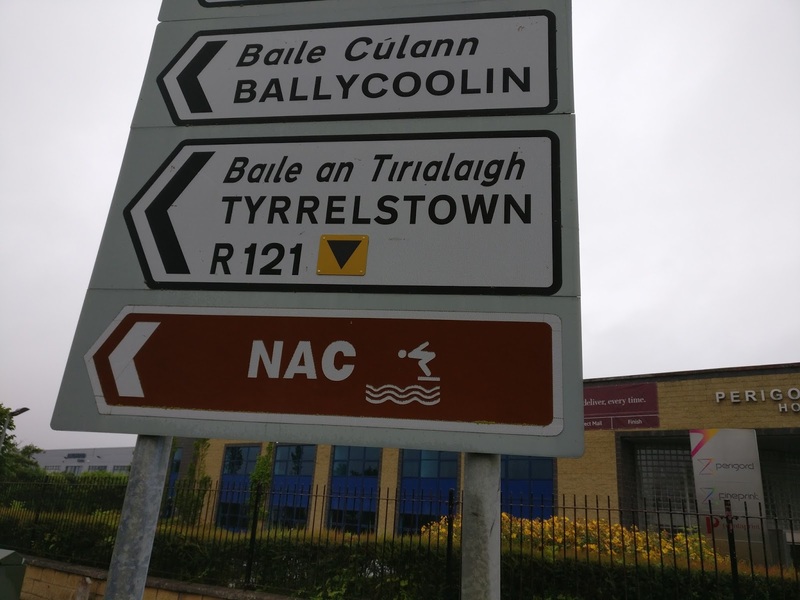 What do these road signs mean? 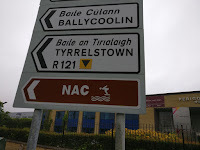 Over recent years I have started to notice road signs like these around Dublin. 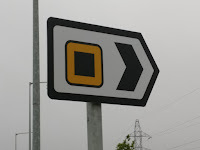 I have been fascinated to find out what the signs are pointing to, but it is hard to guess their meaning since the signs only contain an abstract shape in either black on a yellow background or visa-versa. Sometimes the signs will appear on their own (like the first example), or else they will be a small addition to an existing sign with many directions as you can see in the example below. Occasionally I have tried to follow the signs to see where they lead to, but always I have given up after several left/right turns that don't seem to be leading to any particular direction. Can anyone take me out of my misery and tell me what the signs mean? Are they a Dublin phenomenon or do they appear in other parts of Ireland? Can the y be found in other countries?